The use of [18F]fluoroethyl)-l-tyrosine ([18F]FET) positron emission tomography/computed tomography (PET/CT) has proven valuable in brain tumor management. This study aimed to investigate the prognostic value of radiotracer uptake in newly diagnosed grade II or III gliomas according to the current 2016 World Health Organization (WHO) classification. A total of 35 treatment-naive patients (mean age, 48 ± 17 years) with histologically proven WHO grade II or III gliomas as defined by the current 2016 WHO classification were included. Static PET/CT imaging was performed 20 min after intravenous [18F]FET injection. Images were assessed visually and semi-quantitatively using regions of interest for both tumor (SUVmax, SUVmean) and background (BKGmean) to calculate tumor-to-background (TBR) ratios. The association among histological results, molecular markers (including isocitrate dehydrogenase enzyme and methylguanine-DNA methyltransferase status), clinical features (age), and PET findings was tested and compared with outcome (progression-free [PFS] and overall survival [OS]). Fourteen patients presented with grade II (diffuse astrocytoma n = 10, oligodendroglioma n = 4) and 21 patients with grade III glioma (anaplastic astrocytoma n = 15, anaplastic oligodendroglioma n = 6). Twenty-seven out of the 35 patients were PET-positive (grade II n = 8/14, grade III n = 19/21), with grade III tumors exhibiting significantly higher amino acid uptake (TBRmean and TBRmax; p = 0.03 and p = 0.02, respectively). PET-negative lesions demonstrated significantly prolonged PFS (p = 0.003) as compared to PET-positive gliomas. PET-positive disease had a complementary value in prognostication in addition to patient age, glioma grade, and molecular markers. 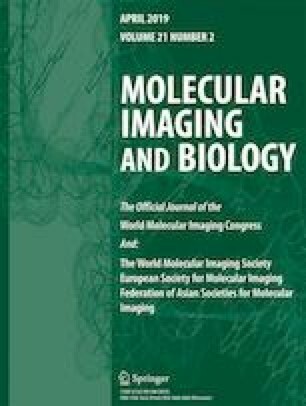 Amino acid uptake as assessed by [18F]FET-PET/CT imaging is useful as non-invasive read-out for tumor biology and prognosis in newly diagnosed, treatment-naive gliomas according to the 2016 WHO classification. Olivia Kertels and Almuth F. Kessler contributed equally to this work. The online version of this article ( https://doi.org/10.1007/s11307-019-01357-y) contains supplementary material, which is available to authorized users. Administrative, technical, or material support: SSa, RIE, AKB, ML. Supervision: RIE, AKB, ML, AFK, CL. The study adhered to the standards established in the declaration of Helsinki. Given its retrospective nature, the local ethics committee of the University of Würzburg waived the requirement for additional approval. All subjects gave written informed consent prior to [18F]FET-PET/CT imaging.